Rio Tinto (LON, ASX, NYSE:RIO) opened today a fourth diamond pipe at the subarctic Diavik Diamond Mine, located in the Northwest Territories of Canada, 220 kilometres south of the Arctic Circle. In the same statement, the company explained that A21 is located adjacent to Diavik’s existing mining operations in the Lac de Gras area. It took four years to build the pipe and first ore was delivered in March. Rio expects it to be at full production during the fourth quarter of 2018. Rough diamonds from the Diavik Diamond Mine. Photo by Rio Tinto. “It is a remarkable achievement to deliver this project safely and ahead of time in such a challenging environment, positioning Diavik to continue meeting the demand for its outstanding diamonds,” Rio Tinto Copper & Diamonds chief executive, Arnaud Soirat, said in the brief. 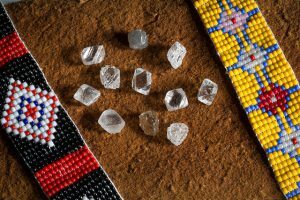 Some $350 million were invested in the construction of A21, with the financial burden shared between Rio and joint venture partner Dominion Diamond Corporation, the latter in control of 40 per cent of the operation. 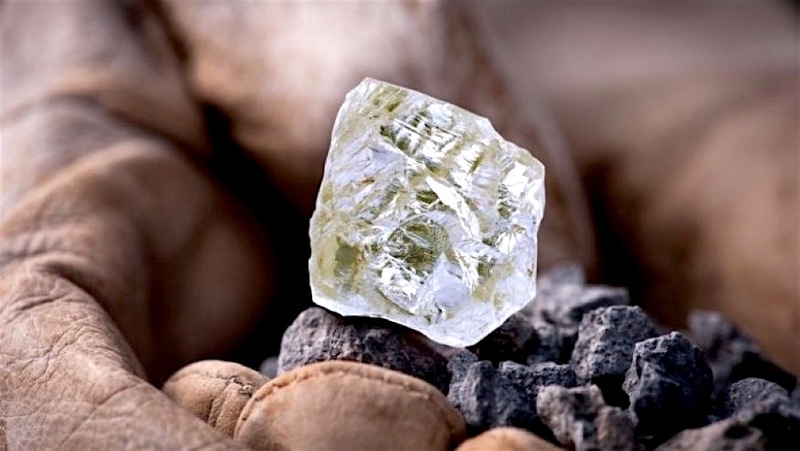 As a whole, Diavik started activities in 2003 and has an annual production of some 6-7 million carats of predominantly large, white gem-quality diamonds.